When we hear news reports of pets being undernourished and forced to live in squalid conditions, we agree that the owners should be prosecuted for neglect. But what about overweight pets? Is this cruelty too? Overweight pets are becoming a global epidemic. According to HealthforAnimals, in the U.S., around 43.8 million dogs and 55 million cats are overweight or obese. In the UK about 50% of cats and dogs are considered overweight. And in Australia, about 30% of cats and dogs are overweight, with 7.6% considered obese. The Association for Pet Obesity Prevention (APOP) is concentrated on tackling the global pet obesity problem. Their latest survey revealed that pet obesity in the U.S. continued to steadily increase in 2016, affecting nearly 59% of cats and 54% of dogs. Pet owners may think they are just pampering their pet with treats. But an increasing number are giving their pets too much food, feeding them food that is unhealthy or bad for them and not exercising them enough. As a result, the pets are becoming overweight and at risk of developing a number of serious health problems, from diabetes and arthritis, to liver disease. There is a real risk that pet owners are killing their pet with kindness. When a pet is obese, their excess weight doesn't just put strain on their joints. They can also suffer from a number of other health problems including breathing difficulties, diabetes, arthritis and heart problems. 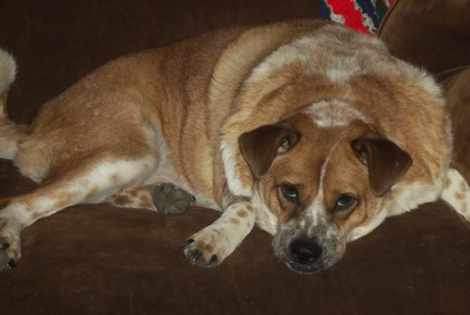 Furthermore, when an animal is overweight, their body slows down and they become less active. Depression has also been linked to obesity in dogs as they don't have any energy and vigor, and stop enjoying life. And while owners may think they are just spoiling their animals, they are in fact causing their pets to have a shorter life span. The growing problem of overweight pets has reached the attention of animal welfare organisations who are using the law to prosecute pet owners. For example, one pet owner in the UK recently had her Corgi dog taken away when it was found the owner had let the dog balloon to twice its normal weight. Also, a cat owner in Canada was fined $1,220 after being found guilty of neglect for letting her cat grow to 25 pounds and allowing him to get into a terrible condition. Along with APOP, a number of animal health professionals are trying to raise awareness of pet obesity and want to get the industry to take a bigger role in fighting pet obesity. But many pet owners are still failing to recognise their animal's weight problems. APOP's survey found that despite their pets being considerably overweight, 9 out of 10 owners thought their animal was a normal weight. Educating owners about these factors and providing information about responsible pet ownership could play a key role in bringing down pet obesity numbers. Pet owners should work with their vet to establish a proper diet and exercise plan for their pet. By doing so, they can add years on to their pet’s life and greatly improve their emotional and physical health and wellbeing.